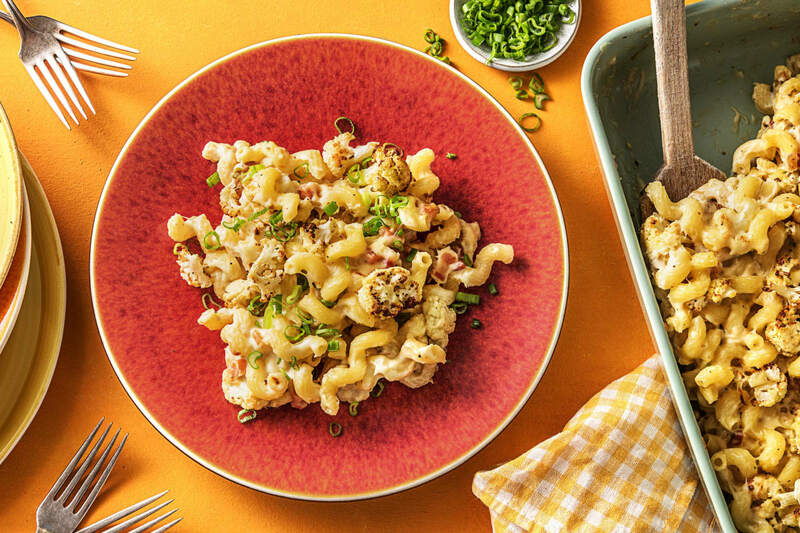 Normally, we don’t mess with classics like mac ’n’ cheese. But when our chefs suggested adding some cauliflower and pancetta, there was no doubt that we just had to go there. The result? A dish that’s as genre-bending as it is comforting. It’s proof that vegetables and comfort food can coexist in melty, creamy, tender, and porky harmony. Wash and dry all produce. Adjust rack to middle position and preheat oven to 400 degrees. Bring a large pot of salted water to a boil. Trim, then thinly slice scallions, keeping greens and whites separate. 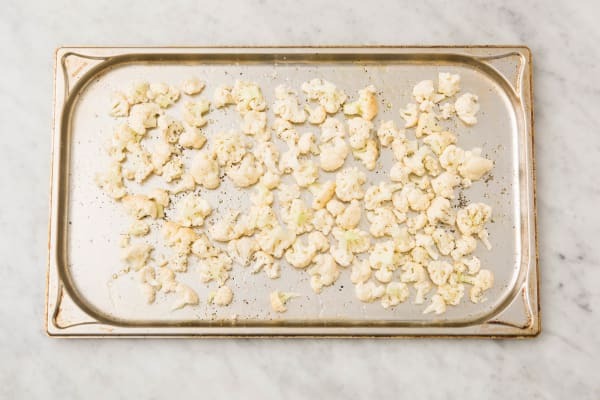 Toss cauliflower on a baking sheet with a large drizzle of olive oil and a pinch of salt and pepper. Roast in oven until tender, 20-25 minutes. 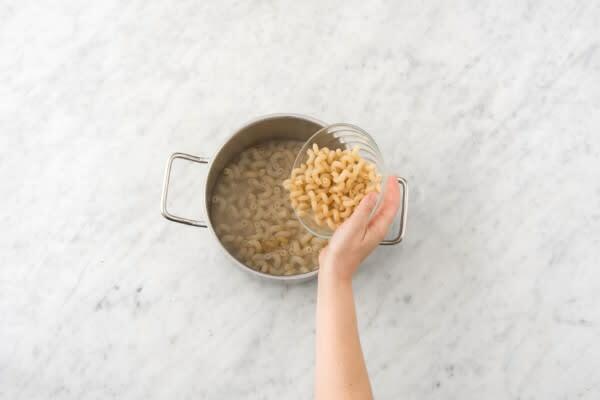 Once water is boiling, add cavatappi to pot. Cook, stirring occasionally, until al dente, 9-11 minutes. Drain. Meanwhile, heat a large pan over medium-high heat (use an ovenproof pan if you have one). Add pancetta and scallion whites. Cook, tossing, until crisp and browned at the edges, 4-5 minutes. 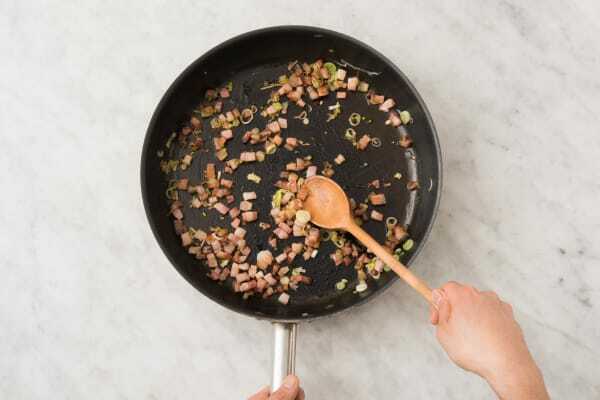 Remove from pan with a slotted spoon, keeping as much oil in pan as possible. Melt 2 TBSP butter in same pan over medium heat, then add flour. Stir constantly until flour loses its raw smell, 1-2 minutes. Slowly pour in 2 cups milk (we sent more), whisking to combine. Stir in stock concentrates and let simmer until thickened, 1-2 minutes. 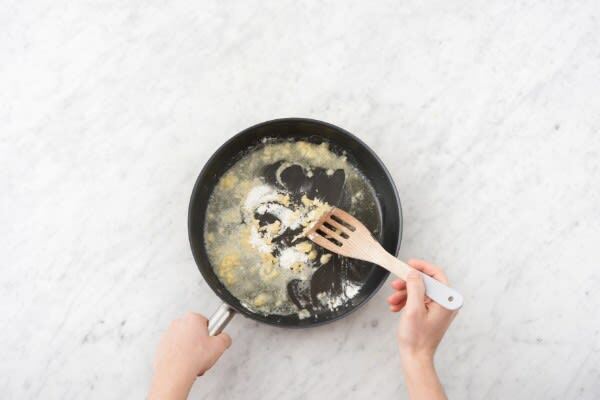 Remove pan from heat, then stir in cheese. Season with salt and pepper. 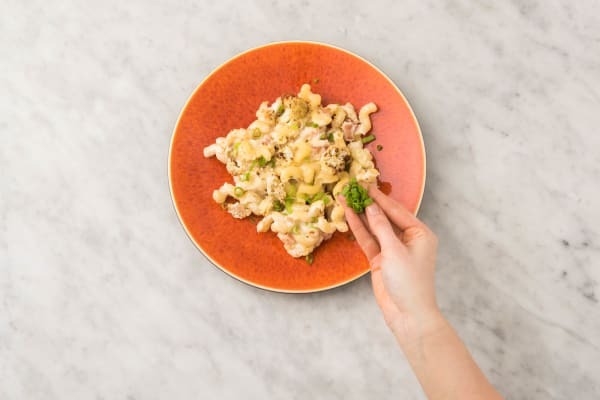 Stir cavatappi, pancetta mixture, and ¾ of the cauliflower into sauce in pan. (TIP: If your pan is not ovenproof, transfer mixture to a lightly oiled baking dish at this point.) Scatter remaining cauliflower over top. Bake in oven until bubbly, 5-7 minutes. 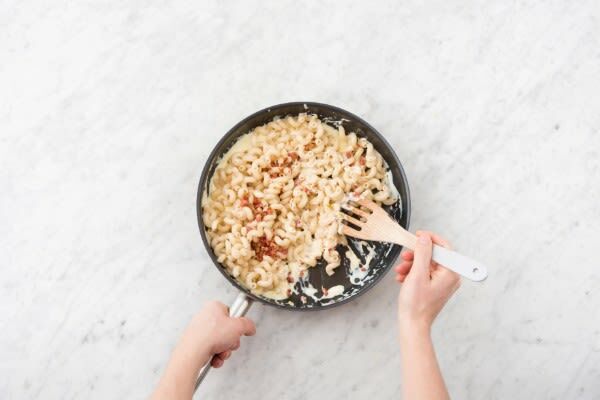 Divide mac ’n’ cheese between plates. Garnish with scallion greens and serve.